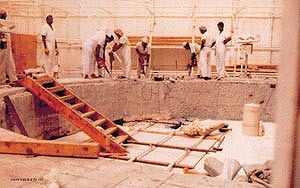 As the excavation work of the bases, above the Divine Foundation, of the Holy Ka'bah was relatively limited, the evaluation of the present status of the bases required an historical background that would determine the best possible course of action. 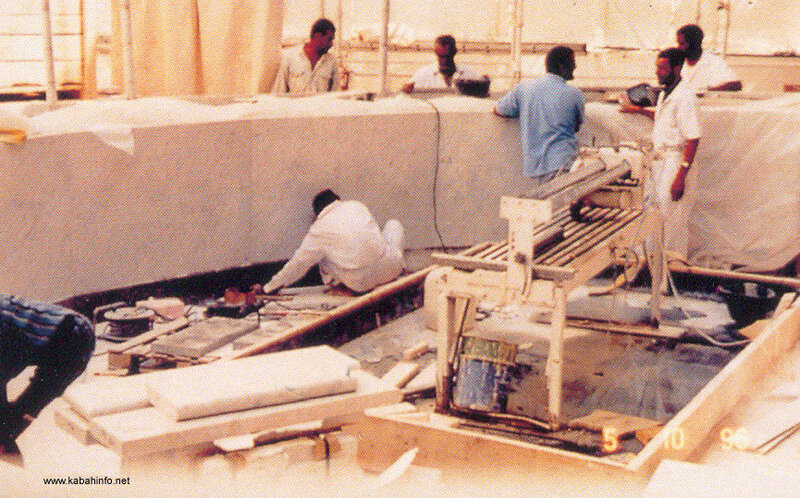 The available historical information states that the bases of the Holy Ka'bah were made of firmly interlocked stones dating from the time of Abraham (peace be upon him). These bases were not touched throughout the several demolitions and rebuilding of the Holy Ka'bah. Abdullah Ibn AI Zubair (may Allah be pleased with them) noted this when he excavated the same area, having called 50 distinguished citizens to witness it. It was observed, at that time also, that the old stones were firmly fitted together. without mortar, and they resembled the interlocking necks of camels. 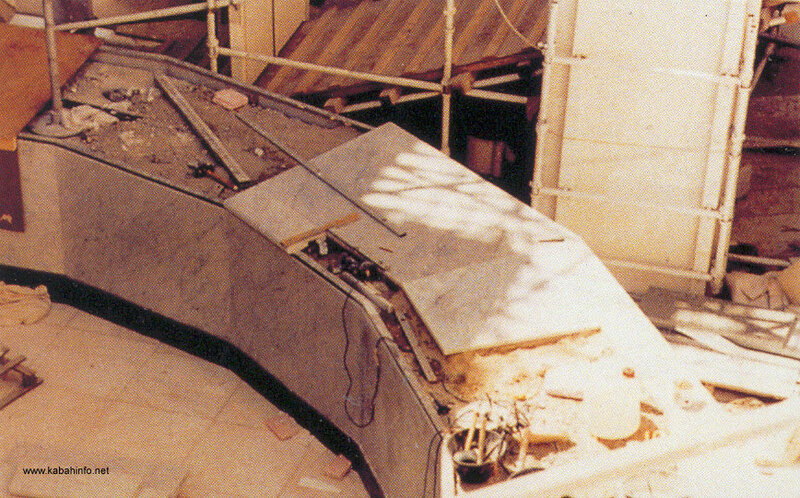 Because of the layout of the original base stones, even the heaviest loads of the Holy Ka'bah, over the centuries of renovations, did not sink into the ground. It has been observed over time that the Holy Ka'bah has remained stable on its foundations despite more than 1300 years of rebuilding. Changes by Abdullah Ibn AI Zubair (may Allah be pleased with them), Al Hajjaj Ibn Yusuf AI Thaqafi, and destruction by torrential rains and flooding did not affect the base. 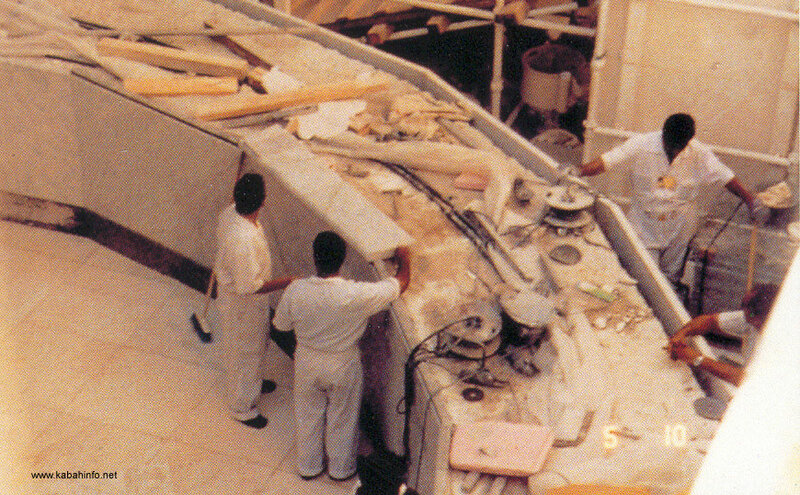 The removal of the old marble. It is worth mentioning that similar buildings witnessed rapid deterioration in the walls due to problems in the foundations and the soil beneath them. For example (not comparison), the leaning Tower of Pisa began to lean in the early stages of its construction due to problems in the soil. This inclination caused many structural problems. No such tilting happened in the case of the building of the Holy Ka'bah. 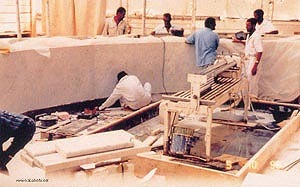 On reviewing the present works implemented, one notes that the stones at the upper part of the walls of the Holy Ka'bah, over the level of the present circumambulation zone, have been reconstructed. This was done in such a way as to guarantee a homogeneous unit with a very high degree of strength, solidity and resistance to strains on the supports. Parallel reinforcements in the vertical sections and horizontal reinforcements joining interior stones and outer wall ensure the connecting integrity of the entire structure. Mortar of the highest quality was used to join the stones together. The homogeneity of the walls at a height exceeding 13 metres has guaranteed the even distribution of stress on the courses beneath it, and the soil at the bottom of the walls as well. These walls are made so strong and solid that they have Ruaranteed the safety of the Holy Ka'bah. The Holy Ka'bah is not affected even in the case of the presence of any hollows or weak points under the walls due to the strength of the present walls, and the even distribution of the loads over the bases. 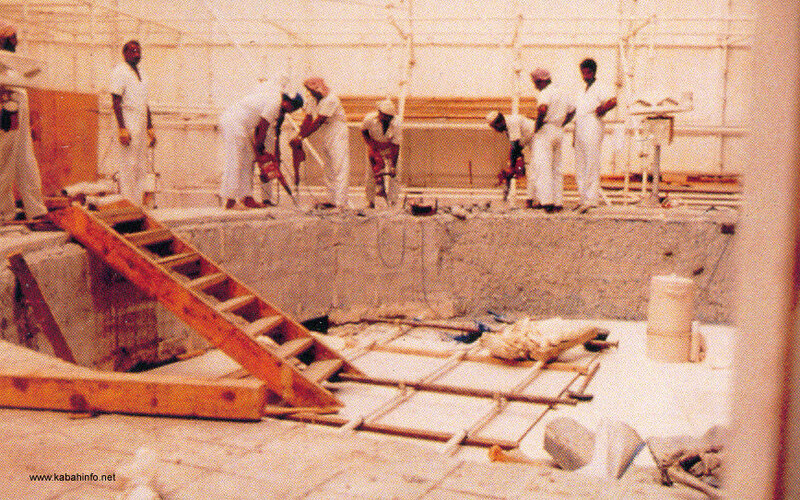 It can be concluded that the present base of the building of the Holy Ka'bah is in excellent condition and will not need any sort of repair up to the Day of Judgement. Fixing the new marble on the sides of the wall. Fixing the new marble on the top of the wall.